Strain sensors have been designed for application areas in which there is a need to measure the deformation due to external forces acting on already existing, massive components. The device is simply screwed onto the component. After calibration the unit obtains the characteristics of a force transducer, where the strain is transferred by frictional connection from the component to the strain sensor. Due to the retrospective mounting option described and the low space requirement, this type is a universal, versatile sensor for force and load control. Application examples include large machines and steel constructions, where high loads are determined. This is the case, among others, in machine building for embossing machines and presses. 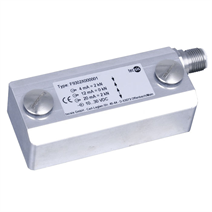 The strain sensor is suitable for use on structures with a tension or compression of max. 1.0 ‰ and achieves an overall accuracy of the measuring unit of 2 % of full scale. Two screws are used to attach it to a region of the structure at which the relevant elongation occurs. The force sensor features an integrated amplifier. The combined deformation body/strain sensor is easy to adjust via control signals. At the heart of the type F9302 strain sensor is a 7 mm thin film sensor. In the most confined space, here a temperature-compensated Wheatstone bridge circuit is implemented. The force sensor fulfils EN 61326 for electromagnetic compatibility (EMC). The digital programmable amplifier permits factory presetting to specific application requirements. If required, you can get a version with measuring range selection. 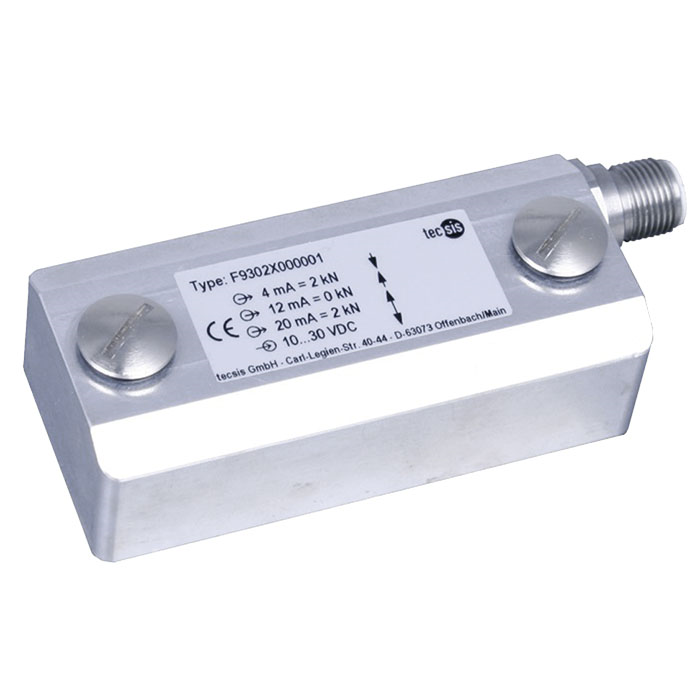 The strain sensor may be used both for static and for dynamic measurement.